I live in Kennebunk, Maine. 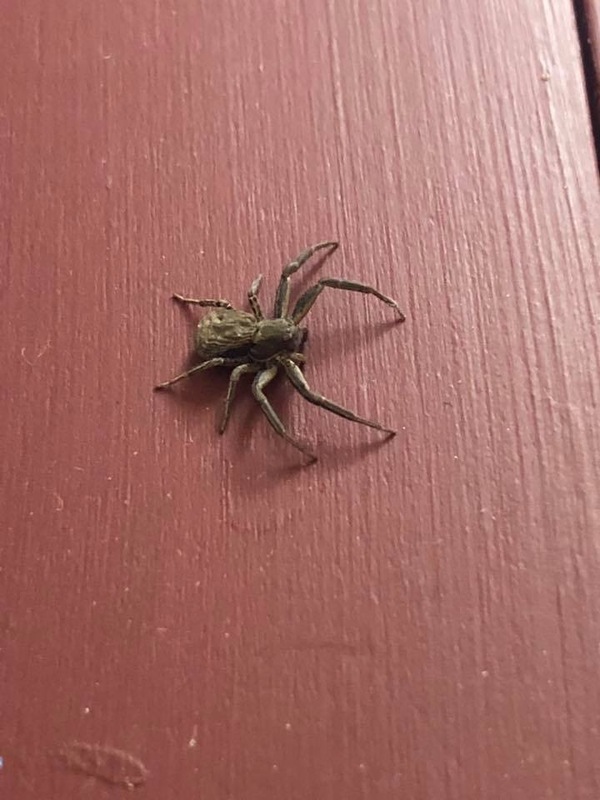 This spider was in my kitchen on a dresser I was redoing (second one in 2 days) size of a quarter if not a little bigger. Very mean looking with large backend and and large fangs.